Did you ever wonder what that massive space was on the map between China on the right and the Caspian Sea on the left? Almaty comes from the phrase with a rough translation of “Father of Apples” and that is no idle boast – ALL apples hang from a family tree (heh) or orchard that originated here. 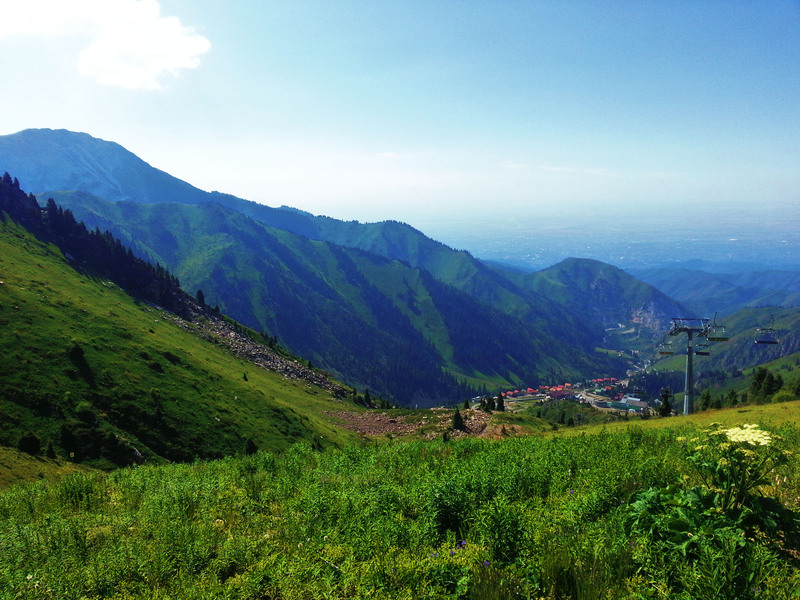 View from Zailiski Alatau mountain base (that’s Almaty on the flat bit). After a year of self-employment as well as couchsurfing and geo-arbitrating it was a pretty good change to go on a proper holiday for a proper reason. Okay, first I should probably confirm that Kazakhstan is a real country because you’ve probably only heard about it thanks to Sacha Baron Cohen making fun of the fact no one in the Western world can tell Eastern European countries apart (Kazakhstan is actually in Central Asia). And because oil. The UK luuurves Kazakhstan for being such a lovely place to oil with such interesting cultural oil where amazing oil and rare oil that oil on oil… I met several ridiculously well-off (proudly exempt from income tax) ex-pats in various trendy bars there and became rather uncomfortable about the representation my national identity was getting. First impressions were as important as ever. Stumbling out of the airport after some 16 hours of sitting with no leg room catching up on the last 5 years of international cinema I found myself in a city which looked to my simplified and romanticised memories just like Karachi, Pakistan. White-painted trees lined the green verges of ‘flexible lane’ highways, cars and lorries competed for the loudest horn blasts and most importantly the sun beat down on anything that stopped moving and seared it to the pavement. I was home. I wasn’t expecting this, as Kazakhstan is a recovering Russian territory, newly founded in 1991. I say recovering in the way British colonies have ‘recovered’ after independence. There is a large social movement returning to the cultural roots of the area and rediscovering their ancestors’ equestrian nomadic traditions – yes, Genghis Khan the Mongol unified the entire area, Russia included. The reason I not only managed to save up for but also overcome immigration and logistical hurdles with such unstoppable focus was because my friend, course mate and dissertation insanity buddy was getting married in her home town to her dashing fiancé in style. 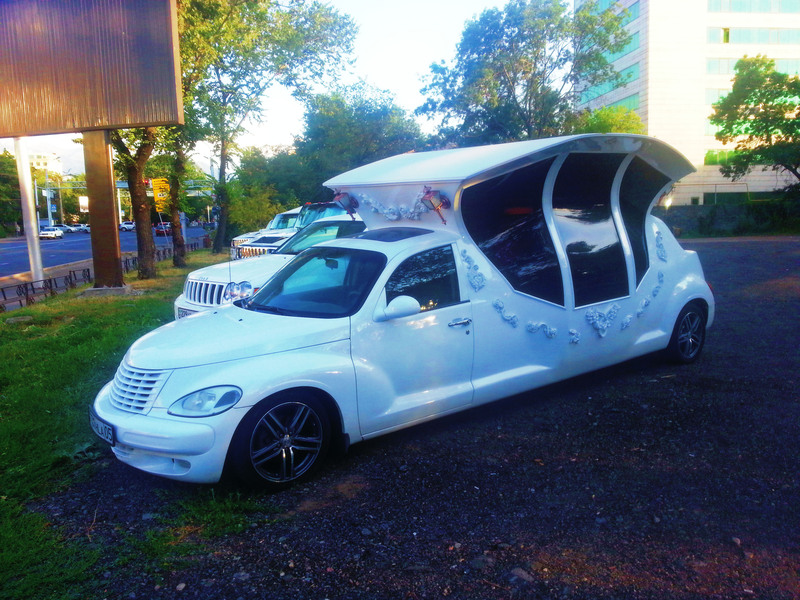 Well gosh – what a wedding venue. But more on that in another post. This is also possibly the first country that I have ever visited where English was not the second or first language. This was good, though I discovered in the first week that my attempts to learn Kazakh were misapplied as most urban life is conducted in Russian. Ain’t nobody got time to learn that. 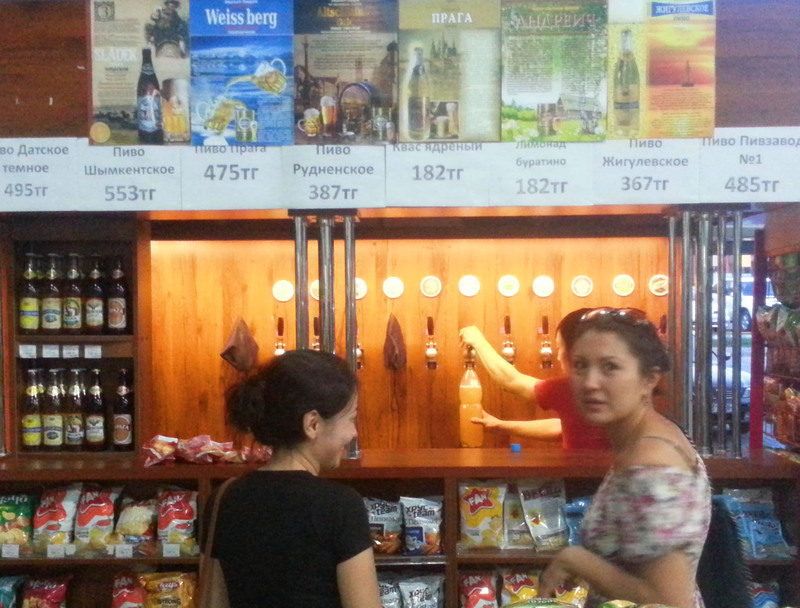 We were set when we discovered the local 24 hour supermarket had a lager booth. Yes, a lager booth. Some classical themes of a developing country that has a strong communist history were in evidence: enormous soviet statues and arches proudly commemorated leadership and strength in the specially built parks and the city boasts both the best and shortest subway I have ever been on. Some of the European gang. An amazing feat of tunnelling and marble completed by trains with televisions and conductors in enormous hats. All sadly undermined by the fact that the regular earthquakes mean not only is it limited to six stops covering maybe a fifth of the city but there is a pretty large risk of it being severely damaged by a tremor. Tickets cost 5p if you wondered. 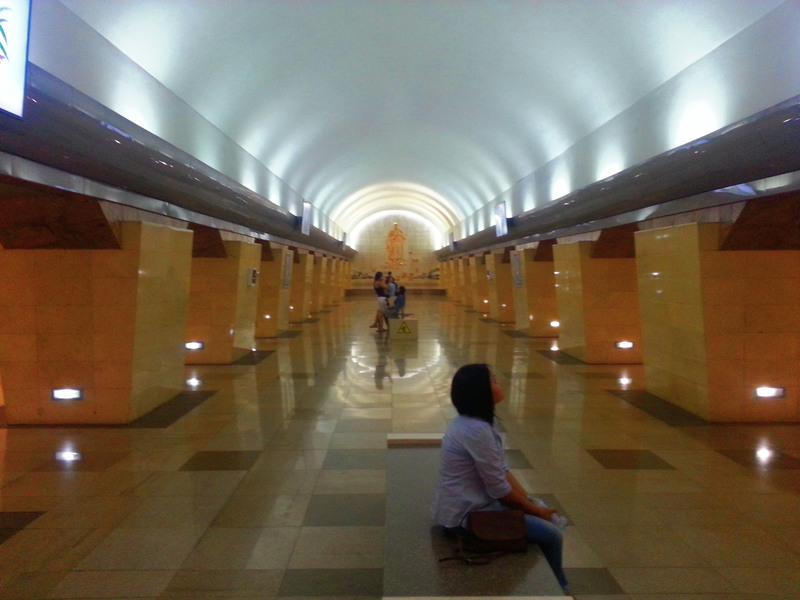 Your average Almaty subway platform. There’s a famous monk drawn in gold on the back wall. Of course. By far my favourite thing about Almaty was that the entire Southern panorama was taken over by the mountains beside the city. You could immediately orientate yourself just by finding them anywhere in the city and just pop over to the ski lifts in a lunch break if you wanted – Geneva eat your heart out. View from the ski resort. 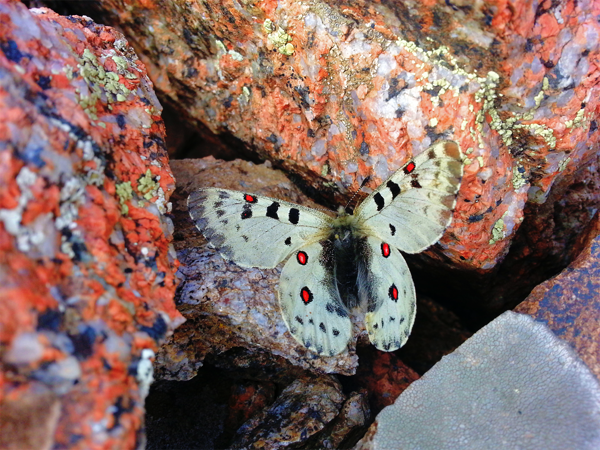 These beauties get blown up to the summit of the mountain where they cover the rocks in their thousands. 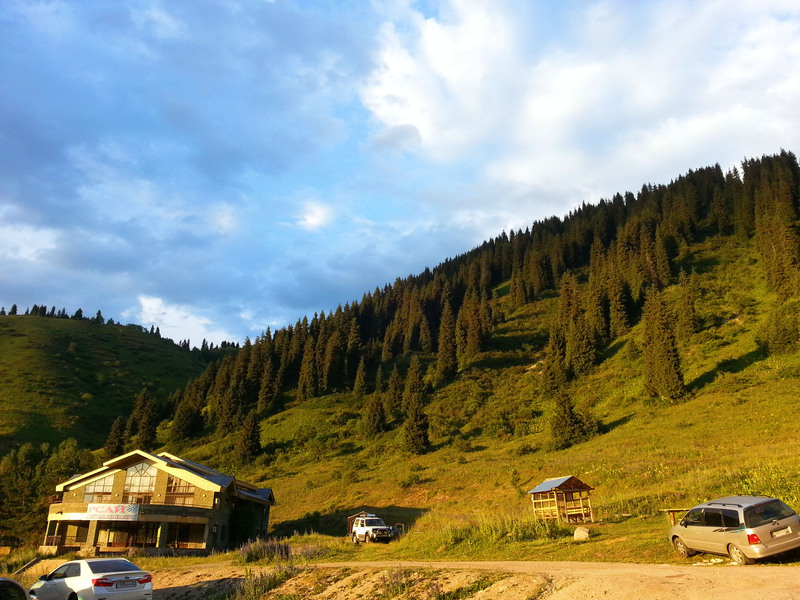 But we didn’t spend all our time in Almaty. Oh no, we did a lil’ exploring and found some interesting places which I will talk about in Part Two. 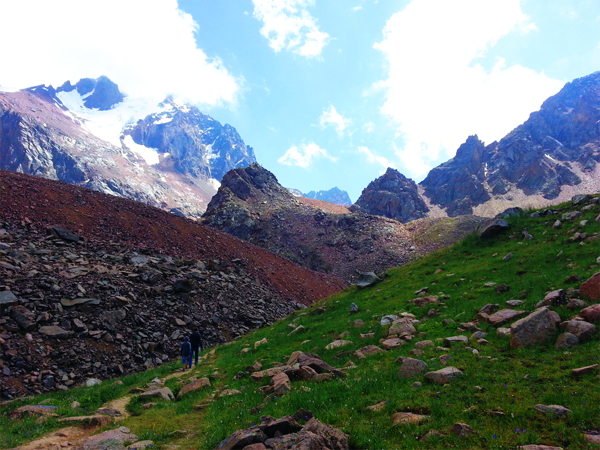 This entry was posted in Blog, Kazakhstan and tagged Kazakhstan, photography. Bookmark the permalink. I really enjoyed your blog, Dan and look forward to the next installment!